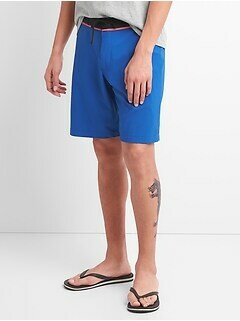 When the weather heats up, you need a pair of these fashionable men's shorts from Gap. 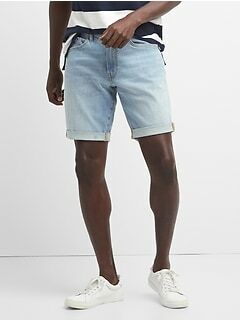 In the men's shorts sale section at Gap, you'll find a variety of stylish designs that will help you create a handsome warm-weather outfit. 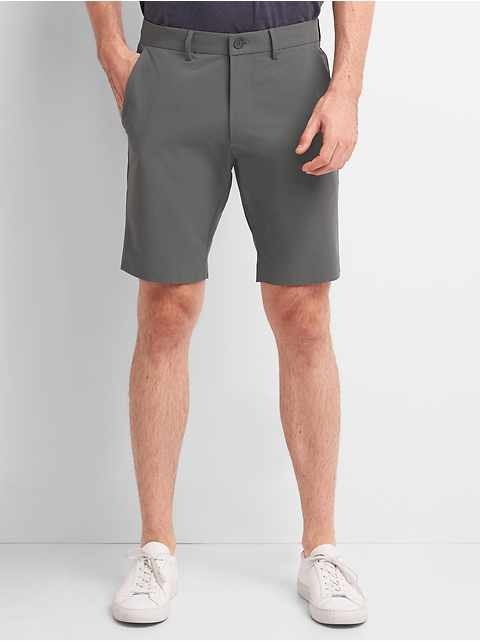 Every guy needs a few pairs of go-to shorts for the summer months, and with this incredible sale, you can reload your wardrobe for next year for a great price. Select a tried and true cut that you know will look wonderful, or take a chance on something new. Going on a winter vacation this year? It's a great opportunity to do some off-season shopping and take advantage of marked-down apparel. 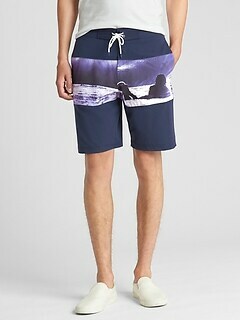 Tour a tropical island in these fantastic shorts. Are you the chic salmon shorts type of guy who sports an authentic American look with a touch of European runway sensibility? 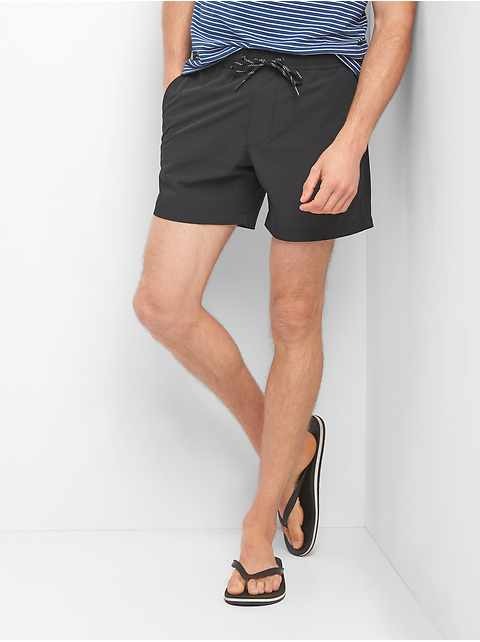 Maybe you're after a handsome pair of dark green shorts with a traditional cut or short length swimsuits that will show off those quads while you play paddleball on the beach? 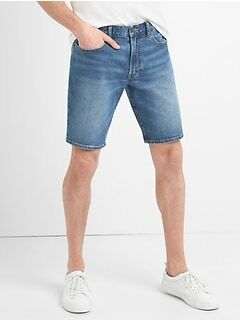 In this impressive collection of discount men's shorts at Gap, you'll have no trouble finding a unique style that matches your individual personality, attitude and tastes. Catch a wave in awesome board shorts or mingle with neighbors at a backyard cookout with everyday stretch shorts. Summer is whatever you make it. Be sure you have versatile options in your closet. 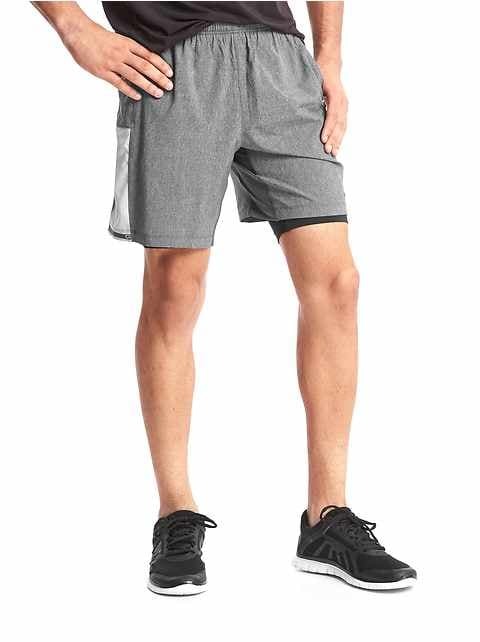 Shorts for men in this popular sale section are made from the same choice materials that you've come to expect from all apparel by Gap. Manufactured to meet high standards in terms of looks and fit, as well as durability and comfort, these dependable bottoms will be among the most comfortable clothes in your wardrobe. You'll find yourself returning to them, year after year, for everything from a morning running errands in town, to an afternoon in the park, or a nighttime beach bonfire with a few dozen of your closest friends. Shop today and get ready for fun in the sun. 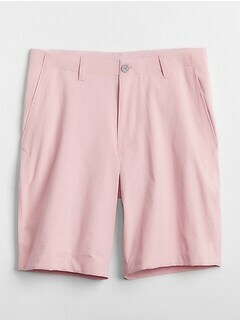 Be prepared to look amazing next summer with garments from this large sale section at Gap.